As at end of March 2015, there are 1984 EVs in use, up from less than 100 in end 2010. At present, 39 EV models from seven countries have been type-approved by the Transport Department (TD). These include 26 models for private cars and motorcycles, 13 models for public transport and commercial vehicles. The EVs which have been type-approved by TD and are available for sale in Hong Kong* as at March 2015 are listed as follows. We’re pleased to be able to announce that we’ve managed to complete the government registration formalities, and Charged Hong Kong has received it’s society registration certificate #54000. We are now legally formed and ready to go. Since our launch event a few weeks ago, we’ve received a large number of enquiries about membership and how people can help. This is just a short note to keep you up to date on our progress with the establishment of Charged Hong Kong, and to let you know what will happen, and when. It is important to point out that we are building this association for the long-run. Something that can be inclusive for all owners/enthusiasts of electric vehicles in Hong Kong, and something that can accelerate real change. For that reason, we want to ensure that we have a strong foundation. We’ve established a website (charged.hk), agreed on a constitution (which you can view online at charged.hk/constitution), and formed the founding executive committee. Applications have been made to the Societies Office and the Inland Revenue Department, for the registration of our society. We are now waiting for the result from the relevant government departments, but we hope that these applications will be successful, and that we can be registered and up-and-running, before the end of February. Hong Kong isn’t a big place. Its total area, including Hong Kong Island and the portion on the Mainland, is only 426 square miles. More than half the population of seven million people lives in private housing—though much of it consists of high-rise flats rather than single-family abodes. So it seems like an ideal place to own a plug-in electric vehicle. 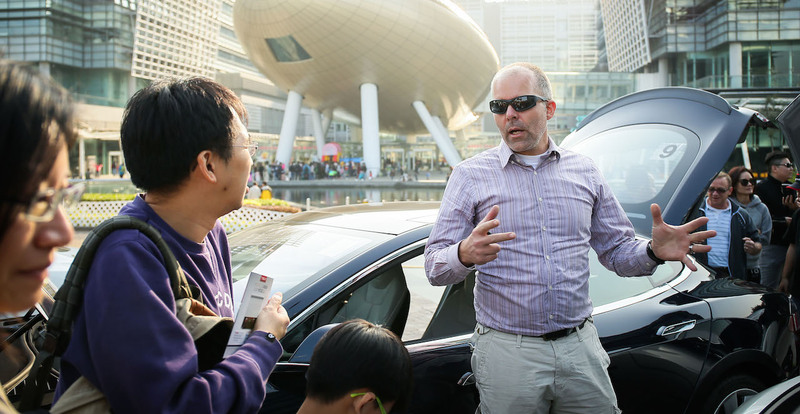 But the private home ownership is one of the biggest barriers to expansion of plug-in electric vehicle ownership in Hong Kong, Tesla Roadster owner Mark Webb-Johnson told PluginCars.com. The property developers won’t let owners install charging stations in the parking space that belongs to the flat because it would require using wiring and space that is owned by the building rather than the resident, he said. For Webb-Johnson, that isn’t an issue, however. He has an ideal setup for owning a plug-in electric vehicle. And, he admits, overall Hong Kong is doing a pretty good job of promoting expanded use of plug-in electric vehicles. 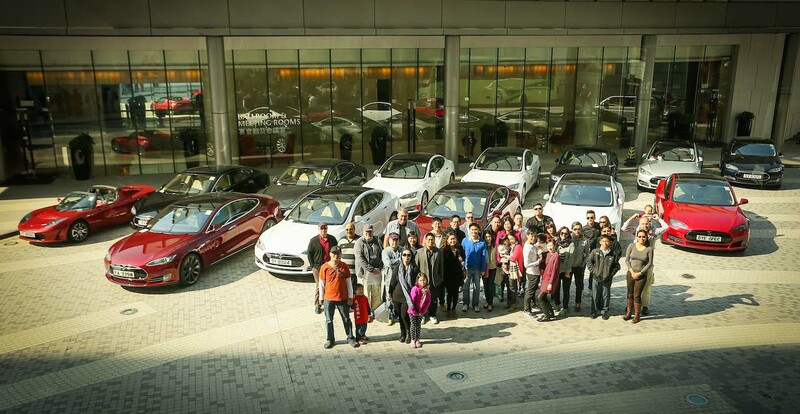 HONG KONG – Seventy Electric Vehicle (EV) enthusiasts, along with their 30 EVs, celebrated on Sunday, 25 January 2015 the establishment of Charged Hong Kong, an association dedicated to supporting and accelerating the adoption of plug-in electric vehicles in Hong Kong. “Electric vehicles are critical to improving air quality in Hong Kong because they are much more efficient and have minimal to zero emissions, as compared to conventional vehicles with internal combustion engines,” says Mark Webb-Johnson, newly-elected Chairman of Charged Hong Kong. “Charged Hong Kong will play an instrumental role in making it easier to operate and own an EV in Hong Kong,” added Mr. Webb-Johnson. 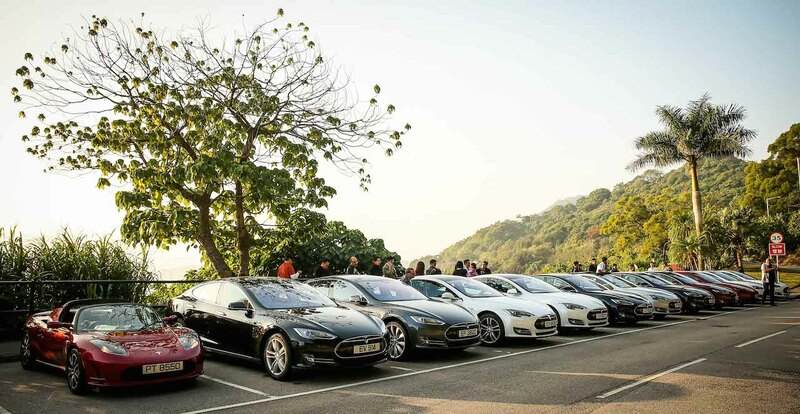 Charged Hong Kong will bring together EV owners and enthusiasts in Hong Kong to discuss and exchange ideas on promoting the use of EVs to replace conventional vehicles with internal combustion engines. The association serves to represent the collective views of EV owners to manufacturers, charging networks, the press, and the Hong Kong SAR Government. The Transport Department has released numbers for new car registrations, by fuel type, in November 2014. September 2014 saw 99 new private electric cars registered, October 166, and November 51. Given the last pre-ModelS, pre-BMWi3 number from June 2014 was 340 private electric cars registered, and the November total of 831, we've seen almost 500 new electric cars on the road (more than doubling the June number) in five months. In the January to June period of 2014, the ratio of petrol to EV new private car registrations was 468 to 1. Now, June to November, it is 18 to 1. 1 in 19 new private car registrations has a plug. Now that is progress. We're now holding our breath for the December figures, which should see a big jump due to the end-of-quarter push from Tesla. Note: These figures exclude government vehicles. (and the full 2014 digest is available at http://www.td.gov.hk/en/transport_in_hong_kong/transport_figures/monthly...).